Hi there please is it possible to purchase this book from England?Who do i need to send payment to? if you are paying in sterling ( with sterling cheques/ postal orders being made payable to Alan O’Rourke). 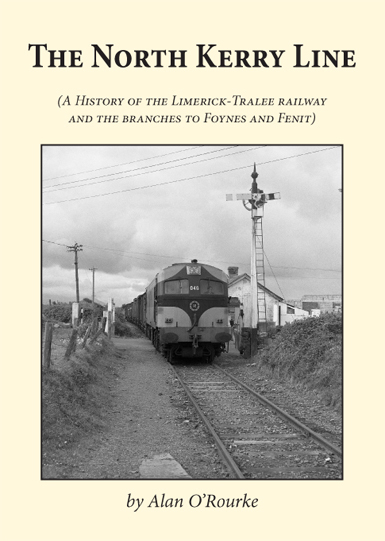 I would love to purchase this book for my father who worked on this line and started in Abbeyfeale in the 70s with P-way. He was unable to make the launch and am wondering how I can get my hands on it – make a great Christmas present. Apologies if this is the 2nd time you are getting a message from me but not too used to this system and cannot see my previous message. Polymath Bookshop, Courthouse Lane, Tralee. My uncle Martin Sampson was Station Master at Fenit, County Kerry and lived in Fenit without, Ballynahaglish County Kerry circa 1901. His Father was Station Master at the North Kerry Railway Station Tralee circa 1893 to 1905 he was then transferred to Listowel Railway Station 1905 to 1925 when he retired. His son was also in charge of the water tower on the Lartigue line his name is displayed on the Staff of the Lartigue in the Museum at Listowel.